You may call them “inhuman resources.” They are difficult people. Dealing with them is a challenge and often leads to feelings of hopelessness and frustration. This presentation provides methods for disarming games and contentious tactics including manipulation, blame, sabotage and bullying. Conflict is inevitable. Anger, blame, grudges are not. Conflict is normal and occurs in every arena of life. We can’t avoid conflict, but the way we deal with it determines whether it is a destructive or constructive force. You cannot NOT communicate; everything you say and do sends a message. Today’s technology such as email, voicemail and the Internet has made communication faster and more accessible. However, telecommunication is a misnomer; we’ve lost the human moment. Additionally, most of us operate on automatic pilot even in our face-to-face communication. Sexual harassment has been around for ages, just ask Samson and Delilah or Anthony and Cleopatra. Each workday we encounter challenges on the job: sexual harassment should not be one of them. This seminar is about awareness and conquering the internal and external barriers women confront in leadership. The origin of the rules of engagement, how to take charge and enhance your credibility employing code switching tactics will be identified. Credibility is like beauty. It is in the eyes of the beholder. Bob can’t walk into a room and say, “Hi, I am Bob and I have credibility.” People must PERCEIVE you as credible. It is an attributional variable! Generally speaking, women don’t rock the boat. Traditionally, our role, both at work and home, is to serve as the peace maker, smoother and master negotiator. It is not feminine for women to engage in conflict. However, conflict is a normal part of life that can’t be avoided. How you were raised, your background, personal experiences, societal expectations and stereotypes and cultural context can influence your decisions and actions without you realizing it. 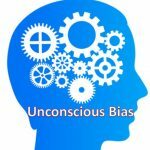 Implicit or unconscious bias happens when we make decisions in a nano second.